This spacious home located on a private drive is a must-see. The open floor plan on the main level includes an eat-in kitchen, dining room, formal living room, and main-floor laundry/half-bath, as well as a guest suite. Located upstairs is the master bedroom/bath with his/hers closets, 3 bedrooms, 2 baths and a bonus room. The basement level includes a large, open family room, bedroom, exercise room, 2nd kitchen, and bath. The patio area is perfect for entertaining and features an in-ground salt-water pool. 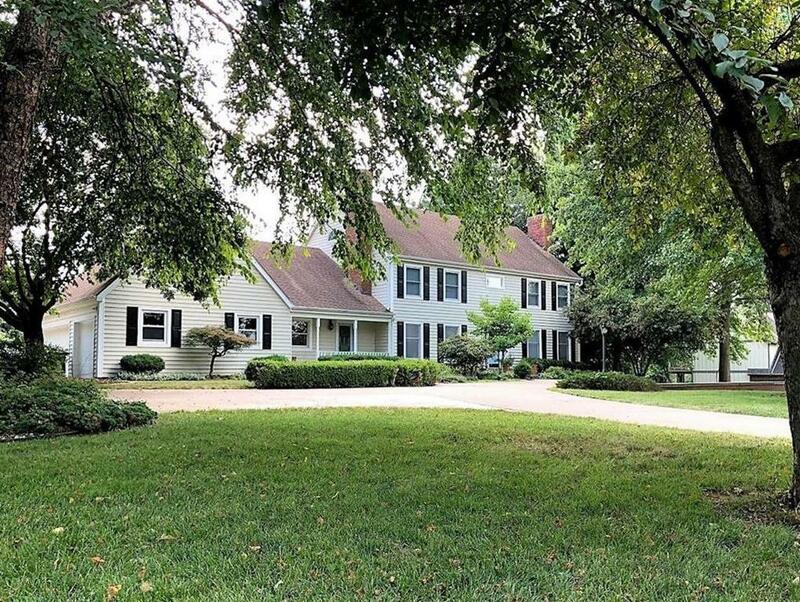 12320 Donovan Drive (MLS #2120511) is a colonial single family home located in Country Club, MO. This single family home is 6,778 sqft and on a lot of 108,900 sqft (or 2.50 acres) with 5 bedrooms, 4.5 baths and is 36 years old. This property was listed on 07/26/2018 and has been priced for sale at $549,900.